What would you do for a few Million dollars? What would you do for a few Million dollars? That is the kind of thing you can never truly know the answer to until you are confronted with it. That is the question that serves the narrative of the suspense movie The Grand Son. Actor Rhys Wakefield (“The Purge”, “True Detective (TV)”) holds the title role of Tod, the Grand Son of Judy, played by Lesley Ann Warren (“Cinderella”, “Clue”), a star of old Hollywood who is past her prime. When Judy’s failing home shopping show jeopardizes the posh, luxurious lifestyle Tod is used to, he makes some tough choices in order to preserve it. This movie was on my radar due to Rhys Wakefield, it is hard for me to forget his performance in Plus One (+1) or that sinister, disarming grin that made the trailer of the Purge when he played the gang leader of that film. He does not disappoint in The Grand Son either, in fact, his look and on screen persona perfectly fits the part. Rhys Wakefield was inspired casting with flawless execution. The whole cast of characters in Tod’s life are of the same pedigree. His sister Lani, portrayed by Fabianne Therese (“John Dies At The End”, “Endless Love”), is a spiteful protege of Judy. Lani wants her grandmother’s acting career and Judy envies Lani’s youth. That being said, Judy has a very young appearance for a Grand Mother, but hey, a surplus of money and happiness can do that to you. Barbara, played by Sarah Clarke (“Bosch (TV)”, “The Twilight Saga”), is the hard nosed Producer of Judy’s home shopping show, when the cameras are off Barbara is also producing a love affair with Tod on the side. Danielle Campbell (“The Originals (TV)”, “You Can Choose Your Family”) as Halle is Tod’s official girlfriend, she is more his age. Rounding out the cast is Nathan Keyes (“The Kings Of Summer”, “The Good Doctor”) as Jacob, a handyman who is hired to paint the family mansion but is more hands on with Lani, a big point of contention when the others find out. When I say mansion, I do mean mansion. This is a property with a back yard much bigger than most homes. We see that this is one of those houses a Hollywood tour bus drives past to hope for a glimpse at the aging star, right before they see where George Clooney does his dry cleaning. Tensions build as these family ties are wound tight. While I would not call it a Horror film, think as though The Grand Son is The Graduate but with bloodshed. The writing of The Grand Son is subtle yet strong. I do wish we got more incite into the backstory of these family members however. There would have been room to add more character building moments since the movie has a total run time of 86 minutes. I was surprised to learn the movie was originally titled American Pets and played film festivals clocking in at 78 minutes. That could also be because this is an economical story well told. With the majority of The Grand Son taking place in the house you would not want to over stay your welcome, thankfully this story does not. The lighting and cinematography is in service of the story and is not over stylized. A moment or two of The Grand Son is sure to surprise you. Robert Lagevall (“All God’s Children Can Dance”) directed this movie, on the strength of the screenplay written by Abram Makowka (“Lost In Oz (TV)”, “Gnomes (Short)”). Both of these men have prior features, and it shows. 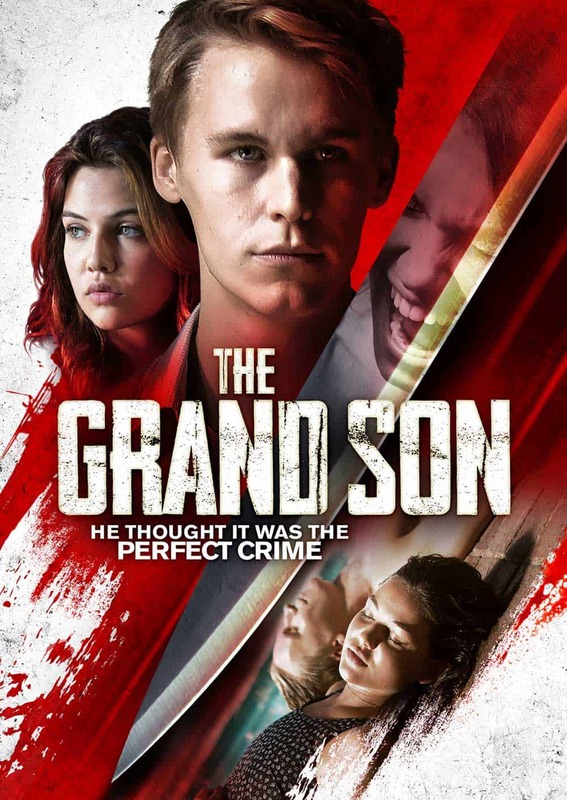 If you enjoyed the Cory Finley film Thoroughbreds, The Grand Son is in the same neighborhood (not literally). The Grand Son will be released digitally on August 14th and lands on DVD November 6th from Uncork’d Entertainment. Curt Wiser is the Writer/Director of the suspense feature Cam-Girl. As a filmmaker he is happy to give a kind word about other films and share them with the rest of the world. This has not granted him the mansion on the hill yet, maybe someday.